Perry Auto Group: Will Fiat-Chrysler Put The Hellcat Engine Into A Jeep? Will Fiat-Chrysler Put The Hellcat Engine Into A Jeep? ELIZABETH CITY, NC – When Fiat-Chrysler brought the Dodge brand into the fold last year, there were major concerns throughout the automotive industry that the SRT-badged vehicles, (Grand Cherokee SRT and 300 SRT) would soon cease to exist completely. Fast forward to mid-2015, it looks like only the 300 SRT will be a casualty of FCA's reorganization, as there are plans to keep the Grand Cherokee SRT alive – by entirely rebranding it. No that does not mean that the trendy Grand Cherokee will become a Dodge, however many do expect the SRT label to be dropped and replaced by the Trackhawk label, a name which Fiat Chrysler trademarked in 2014. While that is all great and exciting, the biggest possible change to the Grand Cherokee is the integration of the supercharged 6.2-liter V-8 fitted Hellcat engine, made famous by the Challenger and Charger Hellcat models. So, will Fiat-Chrysler put the Hellcat engine into a Jeep Cherokee? Car and Driver reported that when the Grand Cherokee receives its major update later this year that will include the Hellcat engine. By putting the Hellcat's 650 pound-feet of torque into the Grand Cherokee, something minor changes have to be made. 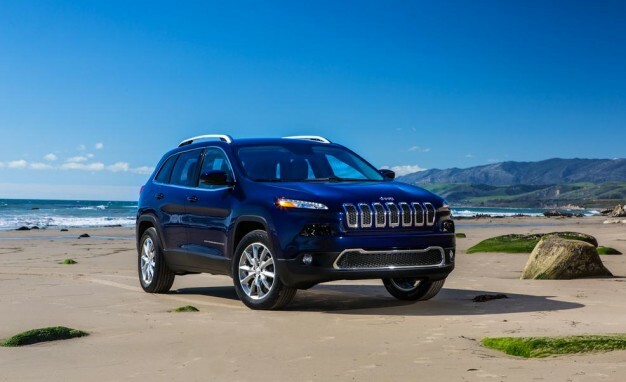 This is especially relevant because of the Cherokee's all-wheel driving system, and that's why we could indeed see the engine's potency detuned or at least limited in lower gears to help preserve the drivetrain. So, will Fiat-Chrysler put the Hellcat engine into a Jeep Cherokee? We hope so! Whatever changes need to be made to the current Cherokee to get the Hellcat engine to run, we say make them! We cannot WAIT to see the updated, 2016 Grand Cherokee, and we will definitely be keeping you up to date on all the news regarding it! If you would like more information on the Jeep GrandCherokee, give us a call! Perry Auto Group has two dealership locations to serve you better at 1005 W. Ehringhaus St, Elizabeth City, NC, 27909 or 1001 Halstead Blvd Elizabeth City, NC 27909. Feel free to call us with any questions at (252) 338-9100.